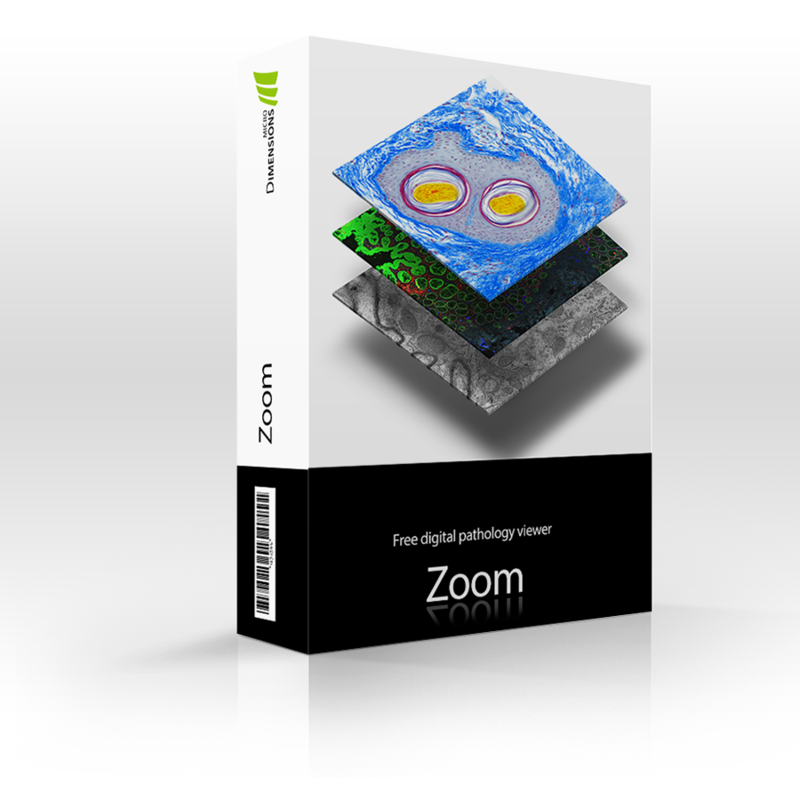 microDimensions, global provider of digital pathology software, has released Zoom, a fast, versatile and free of charge viewer for a plethora of whole slide image file formats. Zoom can display an unlimited number of channels of 8 bit and 16 bit data, no matter whether they were acquired by brightfield, electron microscope, fluorescence or laser scanning systems. The software supports all major whole slide image formats from 3DHISTECH, Aperio, Hamamatsu, Huron, Leica, Nikon, Zeiss, and other widely-used (.ims, .jpeg, .mha, .nii, .tiff) file formats. “Our digital pathology viewer Zoom is a lightweight piece of software to easily and quickly view, share, and discuss your cases,” said Dr Martin Groher, CEO of microDimensions. “Even if you have multiple scanners or systems all with proprietary formats, Zoom will be at your fingertips, ready to visualise all of them at maximum speed."